Inkitt is the world’s first reader-powered book publisher. Readers can discover thousands of novels for free on our platform. We measure their engagement on those stories and then publish the high-performers. If your life hung in the balance, would you choose to make your own destiny or leave your life to fate? 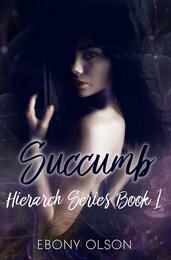 Lucinda Raven is being hunted by her ex-lover, a controlling rogue Alpha, who is determined to perform the sacred mating ritual that will bind them together forever. Knowing nothing will keep him from carrying out his ruthless plan, Lucinda is on the run and seeks refuge in the territory of an old friend. Caidan Moone, cursed Alpha of the Blood Moone Pack, has a tortured history that haunts him daily. He sees the arrival of this beautiful and alluring nomad as a chance at redemption from his prior failures and invites her to stay, despite the danger it brings to the entire pack. 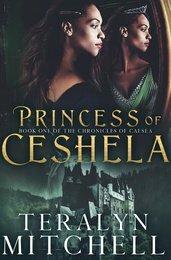 As Caidan and Lucinda grow closer, her two worlds collide and Lucinda must face the events of her dark past in order to save the future. Will Caidan be able to protect her without sacrificing his pack? Or will she end up bearing the mark of her psychotic ex? I've actually never read a book structured in this way, and it works. Shifting perspectives on the same situations revealed more and fleshed out characters. Plus, I like the world you've created, a dynamic wolf/man mix which invited me, the reader, to imagine myself with such a power and Pack. - M. Drewery ￼When I saw that this novel was about wolfs, I knew that I had to read this. It's not the typical love story you always see. You had to expect the unexpected. I highly recommend this novel. – Lisa Ho. Fans of The Hunger Games are going wild for Silent Embrace! He went into the Running never planning to find a mate. She was frightened, with no idea what to expect...Ready. Set. RUN. 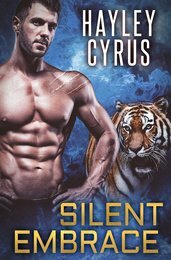 Blythe has been summoned to be in the Running; an annual event where shifters are let out of their jails for twelve hours and released into an arena to find a mate. Every year, ten human girls are placed in the stadium, armed, and given three ways out: elude the shifters and remain uncaptured, kill one and escape, or be caught and become their captor’s mate. Forever. Killian is a tiger shifter with a dark past that has left him cold and believing that love is a weakness. He never thought his chance would come, but this year he’s been called up to participate in the Running and will be forced to select a mate, knowing that he will never truly love her. When the two lock eyes in the arena, a shiver of fear and lust runs down Blythe’s spine. Will she be able to escape? Does she even want to? And if she’s claimed by the hardened man staring back at her, will she be able to make him believe in love again? The steamy and dramatic sequel to Tattooed Love by Simone Elise. A lot can change in six years. Jax’s sentence is coming to an end, and Amber has been a ghost since the day she walked off the prison grounds. With Jax on the outside, and their son becoming more like his father every day, will Amber be able to stay away? Amber: When I left Jax behind bars I made a promise to myself. I would never let him near my child, or my life, ever again. I’ve kept that promise, leaving behind the biker life and staying hidden from my brothers and most importantly from the man who ripped out my heart. But hiding and moving on are two very different things. How am I supposed to get over someone who’s eyes I stare into every day in the form of my son...my Jack...who is his spitting image? Do I see Jax again? Do I tell him about his boy? With his release just around the corner, I better figure it out pretty damn quick. Jax: I told her to leave. That was always the deal; if I went away, Amber and I were finished. But a man’s got a lot of time to think in here, and the past years without my girl have been the hardest of my life. Do you know how many days are in 6 years? I do. Because for every single one of those days I’ve had my club searching for the woman I love. The woman I asked to marry me. The woman I kicked out of my life. As soon as these prison gates open, there is only one thing I care about and that is finding my girl, and getting things back to the way things were, just the two of us, no distractions. Being together might be dangerous, but outlaws are meant to break the rules. “Sid Sullivan is just your average teenaged girl next door” - No One Ever! Sid excels at exactly three things: fighting, breaking noses, and getting into trouble. 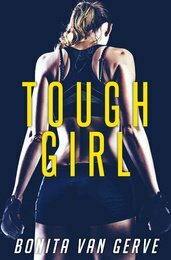 After her latest fight lands her in the emergency room, Sid finds herself getting shipped off to Llewellyn Academy for Girls. She begrudgingly agrees, with one tiny little adjustment to her mom’s perfectly laid out plans to get her through graduation. 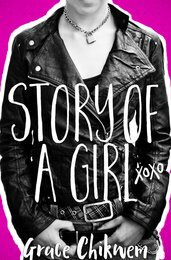 Instead of going to the prestigious all girls boarding school, Sid decides to pull off her craziest stunt yet and attend the neighboring boys school. After all, how hard could it possibly be to pretend to be a pubescent boy? 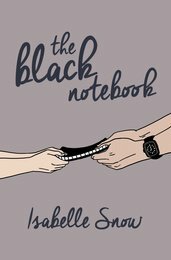 Unfortunately, Sid finds out all too quickly that boys can be even cattier than girls, when she finds herself in the middle of a nasty feud between her good-natured roommate and two irritating brothers harboring their own secret. 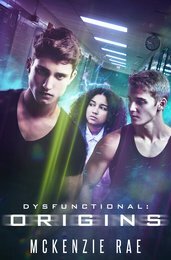 With the fear of a fourth expulsion, on top of keeping her true identity hidden, Sid has to be on her best behavior; a task she finds increasingly impossible with the many curve balls Lewis Academy for Boys keeps throwing her way. Some say the terrors of the past can haunt you, that they will mold you into the person you will become. If that's the case, Seraphina Gaelach is going to be very dark and twisted. After all, you would expect nothing less from someone tied to the Angel of Death. Seraphina has been to hell and back, struggling to fit into society and being shunned for the immortality her power could bring. 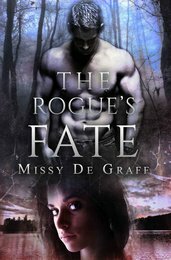 She craves to be loved, but danger is lurking at every turn, and despite her good intentions trouble seems to follow her. Will she ever be able to find love in a world where unknown species are ever present and dark pasts haunt her? And is she can, will that love be enough to save her from both inner and outer demons? 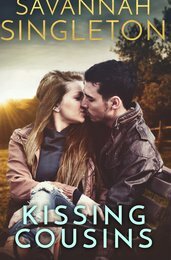 Fans of Nicholas Sparks and Cecelia Ahern are going crazy for Savannah Singleton. When Megan Forester’s plane touches down in her hometown of Lubbock, Texas, she is flooded with uneasiness. After moving away with her family 8 years ago and not looking back, she is certain that she’ll be an outsider at her cousin's wedding. As she collects her bag and considers turning around and booking the next flight out of dodge, she is stopped in her tracks by a handsome young man holding a sign with her name on it. Though there is something familiar about the tall, good-looking man, she cannot place him. Not until, that is, he greets her with an enthusiastic “welcome home, cuz”, and a gentle kiss on the lips. Stunned, memories and forgotten feelings come flooding back as Megan realizes her mysterious valet is none other than Bradley Bosley; a close family friend whom she spent her summers with as a young girl. He was her first love, and her first heartbreak. This weekend might turn out to be a lot more interesting than Megan could have ever imagined. Will there still be a spark between the two kids who used to steal kisses behind the Bosley family barn? If your head and your heart are pulling you in opposite directions - which path do you follow? The day that Lilly walked into Elliot’s office, her life changed forever. 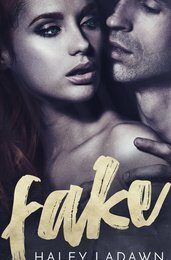 Robbed of her identity and confidence, Lilly is desperately trying to rediscover her true self and move on without the depraved man who stole her heart. A task that is easier said than done. Needing to clear her head, she plans for some time away but her vacation quickly becomes a nightmare at the hands of the man she loves. Swept up in Elliot’s chaos yet again, Lilly finds herself on the run, and she doesn’t even know who or what she’s running from. Is she being hunted, or simply haunted by her past? The lines blur between what is real and fake. Who can you trust when the whole world is out to get you? No one. 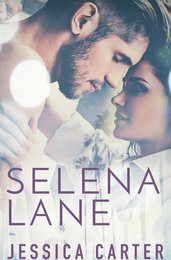 Five years ago, Selena Lane dropped everything to pursue her dream of becoming an actress. She packed up and left for Hollywood, leaving Kansas City and her college sweetheart in the dust. Caleb Hemsworth is a linebacker with a cool head and smoldering eyes who has collected awards, trophies, and hearts across the country. But having his heart broken has left him hardened and cocky both on and off the field. When a friends wedding brings the estranged lovers back together, sparks fly. Will an old flame be reignited or will they burn?